"The technology is essentially here." 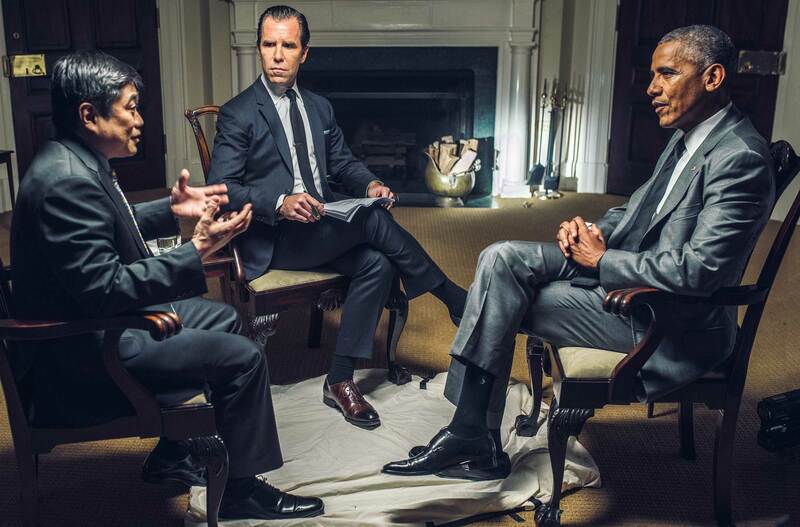 Last August, President Barack Obama sat down with entrepreneur and MIT Media Lab director Joi Ito and WIRED’s editor-in-chief Scott Dadich in the Roosevelt Room of the White House to discuss artificial intelligence — a topic fit for a room so solemnly historical. The discussion covered several important points; however, Dadich’s first question regarding AI got straight to the major point, and Obama was quick to note that, in many ways, synthetic intelligence is already altering our society. My general observation is that it has been seeping into our lives in all sorts of ways, and we just don’t notice; and part of the reason is because the way we think about AI is colored by popular culture […] We’ve been seeing specialized AI in every aspect of our lives, from medicine and transportation to how electricity is distributed, and it promises to create a vastly more productive and efficient economy. If properly harnessed, it can generate enormous prosperity and opportunity. But it also has some downsides that we’re gonna have to figure out in terms of not eliminating jobs. It could increase inequality. It could suppress wages. The technology is essentially here. We have machines that can make a bunch of quick decisions that could drastically reduce traffic fatalities, drastically improve the efficiency of our transportation grid, and help solve things like carbon emissions that are causing the warming of the planet. […] There are gonna be a bunch of choices that you have to make, the classic problem being: If the car is driving, you can swerve to avoid hitting a pedestrian, but then you might hit a wall and kill yourself. It’s a moral decision, and who’s setting up those rules? [T]he government should add a relatively light touch, investing heavily in research and making sure there’s a conversation between basic research and applied research. As technologies emerge and mature, then figuring out how they get incorporated into existing regulatory structures becomes a tougher problem, and the govern­ment needs to be involved a little bit more. Not always to force the new technology into the square peg that exists but to make sure the regulations reflect a broad base set of values. [M]ost people aren’t spending a lot of time right now worrying about singularity—they are worrying about “Well, is my job going to be replaced by a machine?” I tend to be on the optimistic side—historically we’ve absorbed new technologies, and people find that new jobs are created, they migrate, and our standards of living generally go up […] High-skill folks do very well in these systems. They can leverage their talents, they can interface with machines to extend their reach, their sales, their products and services.